Forth on the Fourth with a Fifth? "He who goes forth on the Fourth with a fifth often doesn't come forth again on the fifth." The moral of that story? Keep the booze and the boating well separated during this week of celebrating all things red, white and blue during Uncle Sam's annual Independence Day holiday. According to many states' lake patrol, operating a boat under the influence of alcohol is just as dangerous as driving a car under the influence. Most of us all know how deadly and dangerous that can be. Make no mistake, mixing boating and alcohol out on the water is a particularly deadly mix. In fact, TPWD has noted that: "The probability of being killed in a boating accident doubles when alcohol is involved." Just in case you missed that, the probability of being killed in a boating accident doubles when you mix operating a boat with booze. That's why game wardens with TPWD spent three-days this last weekend looking for vessel operators guilty of boating while intoxicated (BWI) on waterways all across the Lone Star State. The effort was all part of a nationally coordinated BWI-enforcement effort known as Operation Dry Water. Also held a year ago on the waterways of America, the ODW effort seeks to discover – and remove from the water – vessel operators who are imbibing out on the water and operating their crafts in an impaired manner. During the 2013 ODW campaign, officers and wardens all across the nation made contact with a total of 144,044 recreational boaters. They also made 290 BWI arrests during the effort. “Boating should be a fun and enjoyable time spent with friends and family; we are asking that boaters make sure their voyage remains enjoyable by boating sober," said John Fetterman, the deputy executive director for the National Association of State Boating Law Administrators, in a news release. If the safety aspects are the most compelling reason to avoid imbibing while boating, the legal ramifications also serve as a strong deterrent too. That's because while laws and penalties vary from state to state, BWI (boating while intoxicated) cases are strictly enforced in nearly all U.S. states. In the Lone Star State of Texas, where plenty of TPWD game wardens will continue to patrol inland and coastal waterways this holiday week and weekend, the offense carries penalties similar to those suffered in driving while intoxicated (DWI) cases. Such costly penalties include the possible suspension of a BWI offender's automobile driver's license, not to mention hefty fines and potential jail time. So what's the bottom line here? Wait until you are off the water before enjoying a cold one. The combination of booze and boating this Fourth of July holiday is a potentially deadly mix. And because of that, in Texas and in states all across the nation, the long arm of the law will be out on the waterways of America this Independence Day week. Smiling at boaters, tipping their hat, offering their assistance, and being ready to arrest and remove anyone from the water who chooses to ignore this safety measure. 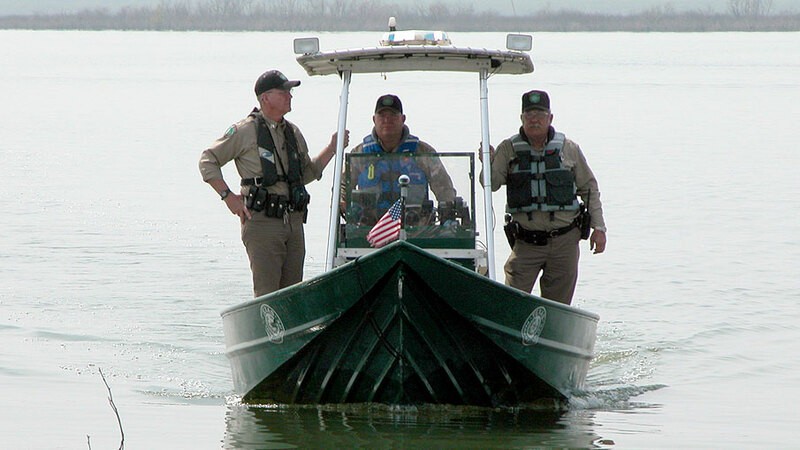 “Game wardens will continue to remind Texans through education and enforcement to always have a designated driver while boating on our lakes and rivers,” said LTC Danny Shaw, TPWD's deputy director of law enforcement. “Our purpose is to provide everyone an opportunity to safely enjoy themselves on the water and return home at the end of the day." In other words, they want you to enjoy the Fourth, and to come home on the Fifth.